Give your tapers some weight with this solid Cast Iron Candle Holder. Its minimalist design makes a modern and textural addition to any setting and its variety of sizes and colors let you mix and match to your heart's content. 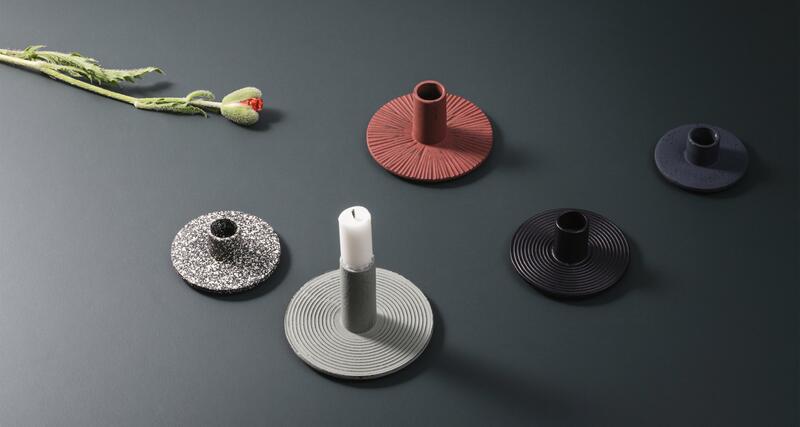 Designed to hold a single candle, the contemporary, circular design is striking and simple at the same time, making a heavy statement for any window sill or dining table. 100% cast iron candle holder available in multiple color and size options. Non-scratch base, so it can go on any surface. Ferm Living makes its accessory-obsessed home in Copenhagen, a center for contemporary design with Scandinavian roots. With a keen eye for detail and a passion for tradition, Ferm Living brings the best modern furniture and accessory designs out of Denmark and into your home, right where they belong.